Free yourself from any restraints in Japan with TGU NINGA WiFi! Why bother with replacing a SIM card or looking for a free WiFi spot? TGU NINJA WiFi Router enables you to stay connected any time and any place. Enjoy your stay in Japan! Furthermore, TGU Premium Members get 1 day for free! Stay connected to the internet any time and any place in Japan! Accessing the internet in Japan is not always easy for tourists in Japan. In a survey conducted by the Japan Tourism Agency, when responding to a question about “disatisfaction with Japan,” many foreigners visiting Japan complained about the inconvenience of having few free WiFi spots. This rental service for WiFi routers provided by TGU NINJA WiFi is highly recommended for such travelers from abroad. If you have this pocket-sized WiFi router, you can stay connected to the internet any time and any place all over Japan! Special Offer for TGU users! PLUS Full Insurance Coverage (valued at 300 JPY/day) 100% OFF! TGU NINJA WiFi, A Travel Essential in Japan! 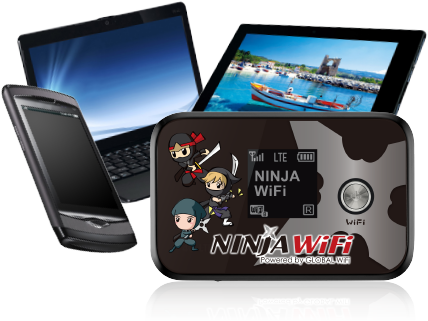 TGU NINJA WiFi is a 4G LTE personal WiFi router rental service for visitors to Japan. With it, you can connect to the internet anytime and anywhere, through the fastest 4G LTE network Japan has to offer. All without fumbling with device settings or paying high roaming fees. 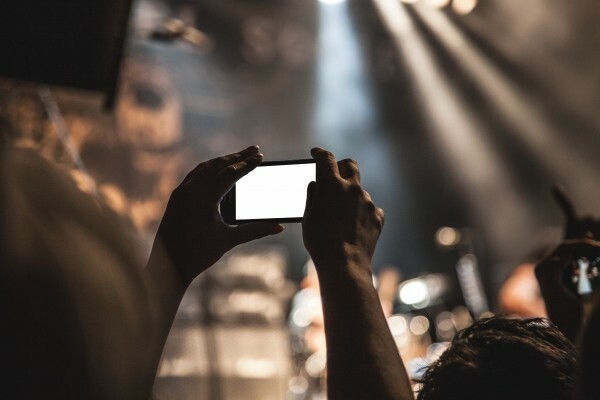 Japan has very few wireless hotspots outside of hotels, making internet connection a major complaint from visitors. Introducing TGU NINJA WiFi, a solution that provides reliable internet connection wherever you go. It is the cheapest, more cost-efficient way to connect in Japan. 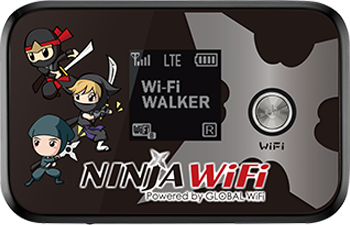 How can TGU NINJA WiFi help you during your travel in Japan? Share your travel in real time through Facebook or Twitter! TGU NINJA WiFi lets you enjoy the convenience of the Internet anywhere you go. And many, many more, all with thelightning fast speed of 4G LTE. There are three options for picking up and returning your WiFi device in Japan: Airport Counter, Delivery Service, and the Shinjuku Counter. You are free to choose any of the methods that fit the schedule of your visit to Japan. Of course, you are also free to choose different methods and locations for the pick-up and return of your device. Team Syachihoko SKE48 BiSH BiS Kawaii Asia Cheeky Parade Yumemiru Adolescence ANGERME KyaryPamyuPamyu MV Cosplay TOKYO GIRLS' STYLE Yurumerumo AKB48 ℃-ute UPUPGIRLS (KARI) NMB48 Negicco Dempagumi.inc palet PASSPO☆ Kyary Pamyu Pamyu Nogizaka46 BABYMETAL Perfume Momoiro Clover Z Hello! Project SUPER☆GiRLS HKT48 HARAJUKU KAWAii! !